Mother-to-be Serena Williams is opening up like never before about her relationship with the Reddit founder. 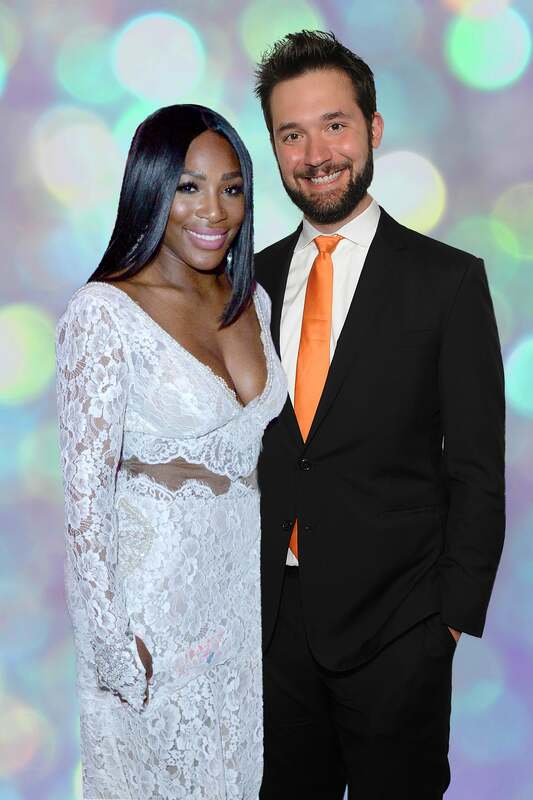 It’s no secret that Serena Williams and her fiancé, Reddit founder Alexis Ohanian, are an intriguing couple. The couple surprised everyone in December 2016 with the news of their engagement and then once again when the tennis champ accidentally revealed her pregnancy. Sitting down with Vanity Fair for the magazine’s latest cover story, the couple revealed new details about their love story, which read something like a fairy tale. Here are eight things we learned about the pair’s love story that will leave you searching for your tissue box. 1. The met a year and a half before they were engaged. In May 2015 the couple met in Rome at the Cavalieri hotel. The couple sat next to each other poolside. She initially was reluctant to have a neighbor during her well-deserved lounge session but after striking up a conversation with the him, learning he was from Brooklyn and a very well-respected tech phenom, they hit it off and never looked back. 2. Their first “date” was in Paris. Serena invited Alexis to Paris to see her play at the French Open and he happily accepted the invitation. Prior to her match (a winning one, FYI), The couple walked around Paris for six hours—yes six!—then took a trip to the zoo and ate candies. 3. As a Jehovah’s Witness, she wished him a happy birthday. Alexis knew that he had found someone special in Serena when she FaceTimed him on his birthday, April 24th of last year, to wish him a happy one. As a practicing Jehovah’s Witness, Serena doesn’t commemorate birthdays but for Alexis, she did. That’s love! 4. They love taking spontaneous trips. The couple took an impromptu trip to Disney World just weeks before Alexis popped the question. Playing on their shared love for spontaneity, the Reddit co-founder used a last-minute vacation in his plan to propose. On December 10th, nearlya year to the day of their initial meeting, Alexis and Serena met once again at the Cavalieri hotel. Alexis booked the same room they shared a year prior, had flowers awaiting upon their arrival, cleared out the pool and made sure they sat at the same table they shared once before. He retold the story of their meeting then got down on one knee. Swoon! 6. She took six pregnancy tests before believing she was expecting. At the urging of her friend Jessica, the tennis champ jokingly took a pregnancy test after noticing her body was changing. After leaving the test for an hour and a half before seeing the results, she then took five more to confirm the news. She was indeed pregnant! 7. When Alexis learned the news, he was just as shocked as Serena. The baby news came at a shocking time for both of them, Serena told Vanity Fair. Learning of the pregnancy in January, Serena was set to play in the Australian Open and didn’t want to risk her health or that of the fetus. Once she received the OK from doctors, only a hand full of people were told about their baby news—her fiancé, her two friends, the doctor, and her sister, Venus Williams. 8. The couple is bi-coastal. For the time being, until they walk down the aisle, the pair are living on two separate coasts and make time to see each other every other weekend. When they tie the knot in the fall, after their bundle of joy arrives, Serena says they plan to live together (in a city unknown) as one big happy family. To read their full love story via Vanity Fair, click here.